Starting January 30, a joint agitation will begin amplifying some of today’s most critical issues affecting Indians everywhere. We, as citizens, intend to set out an agenda to which we will then seek a response from all political parties. The past four years have worsened the socioeconomic condition of Indians everywhere through a destructive mix of poor economic policies and implementation. Hitherto marginalized communities are now leading a precarious existence. Educational opportunities, which have never been adequate for our population, now appear to be reversing progress in terms of availability as well as quality, while unrelated organizations appear to profit from inexplicable favor to capitalize on the resultant need for capacity. Much was promised on the front of jobs, but the reality is that jobs are disappearing, with small businesses in particular under severe threat, many of them having been driven to extinction through unsustainable policies. This is reflected by such symptoms as marginalizing, demoralizing and downgrading the Armed Forces thereby compromising India’s national security; peaking agrarian and rural distress, with farmer suicides continuing to increase; worsening unemployment exacerbated by the government lying about its inability to provide jobs, instead claiming that there isn’t enough data; vigilante groups going about killing people with impunity; communal and casteist divisions intensifying through government patronage. The agitation is organized by concerned citizens who are alarmed at the direction the country is taking. We find trivialization and subversion of our Constitution through underhanded tactics unacceptable. In July 2018, a grassroots movement was announced, comprising an alliance of diverse segments of society, which focuses solely on the key issues that matter to the constituents. As we approach the 2019 General Elections, citizens are stepping up to support an agenda focusing on critical issues in order to collectively create an uplifting narrative that offers hope for better priorities and direction for the country. We believe that everybody owes a responsibility towards maintaining and propagating Constitutional values. 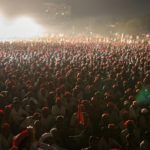 This agitation, led by farmers, veterans, and youth, also comprises several other sections of society committed to ensuring that the political parties of India have to respond to citizens. January 30, 2019: Dharna commences; issues in focus will be introduced. Ex-servicemen organisations will take the lead by highlighting issues that affect the serving armed forces, ex-servicemen, war widows and disabled soldiers. 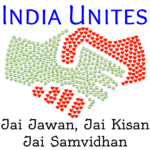 January 31, 2019: Dalit, Adivasi & Bahujan Samaj organisations will express their grievances. Their issues are complex and timeless; specific urgent actions are necessary to address the worst of their distress. 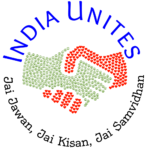 February 1, 2019: Farmers & Trade Unions will focus on agrarian & rural distress. The reckless policymaking of recent years has driven their already fragile economy into outright unsustainability. 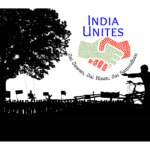 February 2, 2019: Unions of Chit Fund scam affected people present their story. A largely ignored group of people. February 3, 2019: Civil society members will protest the rise in hate crimes as well as the attacks on free speech and democracy. 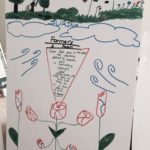 February 4, 2019: Environment; Aadhaar and Surveillance; Ethics in Journalism. February 5, 2019: Women’s Reservation Bill and atrocities against women. February 6, 2019: Student groups & teachers’ association will speak about youth issues, education, and employment. February 7, 2019: All constituents mobilise. We need an environment that preserves our health and prosperity. We look forward to your blessings and active participation in the agitation – this initiative belongs to you as much as it does to each one of us. 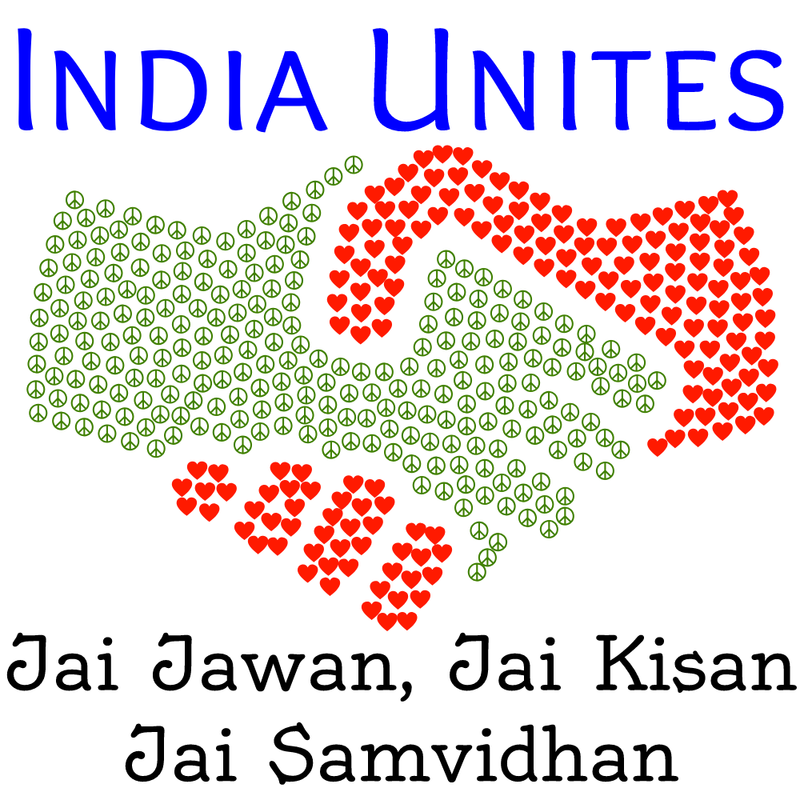 Note: India Unites is being launched simultaneously in Delhi and Mumbai, through parallel agitations.